This stove is compact and charming - a small stove with traditional styling. It is ideal for a standard fireplace opening. The brass fittings and detailed castings are appealing features that will compliment any living space. The Clearfire has been in our range since 2008 and has proved very popular. Finished to a high standard with durable seals and controls. 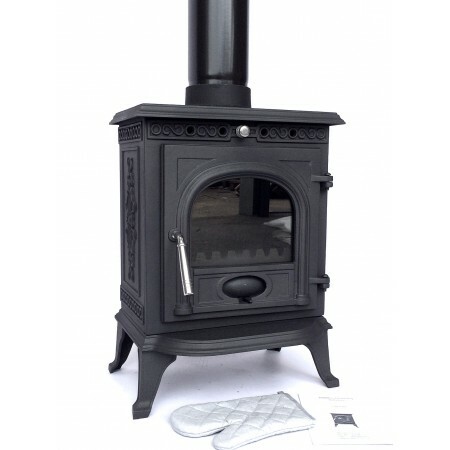 Please note that this is the price for delivery of Clearfire Multi-Fuel Woodburning Stove 6kw only. The final amount might change depending on the contents of your shopping bag when you check out.